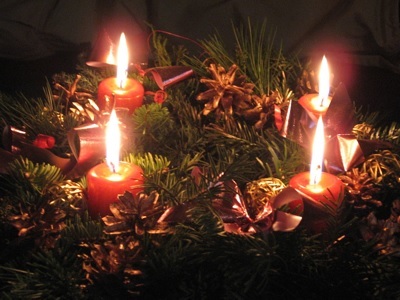 Advent is the holy season celebrated by Christians in the lead-up to Christmas. It is the beginning of the Christian religious year (except in Eastern Christian churches, where the religious year begins on September 1st). For the Eastern Orthodox churches, the Advent period is also known as "Nativity Fast", "Winter Lent" or "Christmas Lent". The period begins in November and lasts for forty days up until Christmas Day. In Western Christianity, the Advent season begins on the fourth Sunday before Christmas Day (and thus begins sometime between November 27th and December 3rd, depending on the year). Some of the most popular ways of marking the season of Advent include Advent calendars and Advent wreaths.